They are well informed risk-takers who think outside the box. They have worked hard at building their empires and are prepared to act on ideas and implement new technologies to create thriving businesses. From those working in new technologies like artificial intelligence and data, to those inspiring a generation online as influencers and others making a killing in online retail, every entrepreneur on this list has that something special that sets them apart from the rest. Entrepreneurs are never content, always pushing forward, and breaking new ground in industries ripe for disruption. This year we’ve seen the old guard in a number of key sectors fail to keep up. In retail, giants of the shopping world have floundered and Australian entrepreneurs have kept up, building businesses that have shone through and changed the environment for good. The banking and finance sector too, previously seen as irreplaceable, has been rocked by scandals uncovered during the Banking and Finance Royal Commission. Entrepreneurs in the Top 100 have been building companies in the background of this turmoil that are set to take over from the slow-moving, and seemingly untrustworthy giants by employing the best in technological advancements and tapping into a new generation of consumers who expect more. Marketing and advertising has changed rapidly too with influencers and those savvy about data reigning supreme. It’s a social media influencer’s world right now; we’re just living in it. It goes without saying that entrepreneurs doing social good are seeing tremendous returns on investment and using this income to build businesses having a net positive impact on Australia. This is keenly reflected by a number of our Top Entrepreneurs who understand that the public reacts positively to generous displays of giving back. The first ever Business News Australia Top 100 Young Entrepreneurs list is a comprehensive dive into the colourful and creative business community that we are so lucky to have in this country. Whilst starting a business is certainly not an easy task, it takes guts, determination, and some serious grit to build empires; something many of these Young Entrepreneurs have achieved. 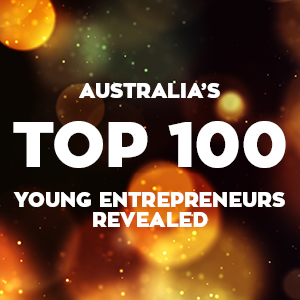 So, without further ado, we present the Top 100 Australian Young Entrepreneurs. Social content can make or break a brand’s marketing strategy, and customers can tell when you’re not walking the talk. Taryn Williams, CEO and founder of theright.fit and Wink Models, explains how to capture your audience’s attention by showing off your expertise. How does it feel to be named the global face of Max Factor? Honestly, a little surreal! It all happened very quickly, and I have to admit it was odd being back on the other side of the camera again. Im so flattered to be included against such amazing strong entrepreneurial females from all over the globe. Can you tell us about the Radiant Lift range? The idea behind Radiant lift foundation is not having to compromise between radiance and long wear coverage. It has hyaluronic acid complex, micro-pearls to reduce the appearance of fine lines and reflect light & SPF 30. What was it like shooting the Radiant Lift range? It was such an incredible experience. It was 2 seperate shoots in London, 1 for the TV commercial and 1 for the stills campaign, so I was flown there for about 5 days each time. The set, props, and all the team and crew were so amazing and it was such an honour to work with the incredible Wendy Rowe (creative director of Max Factor) who did my makeup on both occasions. Why do you love Max Factor? I love that as a brand they have continued to innovate and celebrate the uniqueness of female beauty, and that they are willing to challenge the status quo and work to bring a new meaning to a beauty campaign. Which of the Max Factor range could you not live without? Radiant lift foundation, definitely! It's such a good coverage thats flattering without being heavy and lasts all day. Why do you believe there has been a change in the influences brands are now using? I believe consumers demand authenticity in their marketing- whichever channel this may be on. Social media gives consumers a voice to openly feed back to brands about what does and doesn't resonate with them, and influencers pay a huge part in shaping that dialogue online. How are women dominating the economy and what does this mean for brands? According to Forbes, In aggregate, women represent a growth market bigger than China and India combined—more than twice as big, in fact. Globally, they control about $20 trillion in annual consumer spending, and that figure could climb as high as $28 trillion in the next five years. Its clear that this huge purchasing power means brands would be foolish not to consider them in their marketing & sales campaigns, and in their product development. Are you surprised that 86% of women consult social media before making a purchase? Not at all. I know personally I am certainly influenced by the content I see on my various social channels, whether that be linked in, facebook or instagram. I trust referrals from other consumers and I value brands who work with influencers to craft authentic and engaging stories to convey messages. Its such a fantastic, organic way for me to learn about a brand and their values and their products or services in a time and way that works for me, unlike traditional advertising. Continuing to grow both my companies, and working with brands I love and who are aligned in my values as an ambassador. How does social media impact your business? Social media is a fundamental part of theright.fit business, and the platform is built around a social media backbone in being able to see the reach of all of our talent. The platform was designed as I saw a gap in the market for brands wanting to engage with talent based on their social reach and engagement (models, photographers, actors etc) to amplify their campaigns. It has also allowed us to share our brand values and key messages in our marketing to a highly targeted group of individuals using targeting social campaigns. We're active on all social channels, except Pinterest. Each channel has a different audience and different content strategy, and allows us to share relevant content with the right people at the right time. We also have a highly engaged pool of our out talent ambassadors who are also influencers who help us further amplify our message. We're in a very fortunate situation in that not only do we have 'influencers' in the social media sense of the word, but a number of our talent are very influential industry experts (renowned photographers, leading models etc) so by aligning themselves with our platform this has also increased our position as a key market leader and helped with growth. In their own socials - create content that is suitable for the channel, and keep creativity front of mine (no more content for contents sake!). In engaging with influencers, have a clear brief and understanding of what you are trying to achieve before you get started. I think its evolving so quickly, and new mediums being released all the time, its so hard to say! I think authenticity and creativity will be a the heart of any social media platform or feature that does well. I think for a brand, they will be much savvier about finding and engaging the right talent to feature in, and amplify their campaigns - and influencers will be considered much earlier in the creative execution instead of at the end as a tool to seed/distribute. 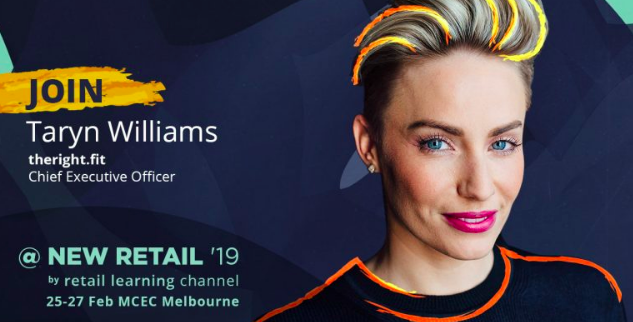 Taryn Williams, founder of talent platform TheRight.Fit, winner of the Award for Innovation at this year’s Mumbrella Awards, will join Sarah Orfanos Vant, brand and partnerships director at Fairfax & Roberts, Ai San Beaumont, regional marketing and public relations manager at La Prairie Australia and Phemmie Wilkinson, agency lead for Lamborghini Oceania at The Origin Agency, to discuss the use of influencers for luxury brands and the trends that are emerging. CEO of theright.fit and WINK Models, Taryn Williams, has accepted a challenge to get in a snake pit. “I’m going to do the snake challenge and get in a box with pythons and let them crawl all over me,” the entrepreneur said. theright.fit has won the Innovation category at the 2018 Mumbrella Awards, with the award accepted on the night by CEO and founder Taryn Williams.